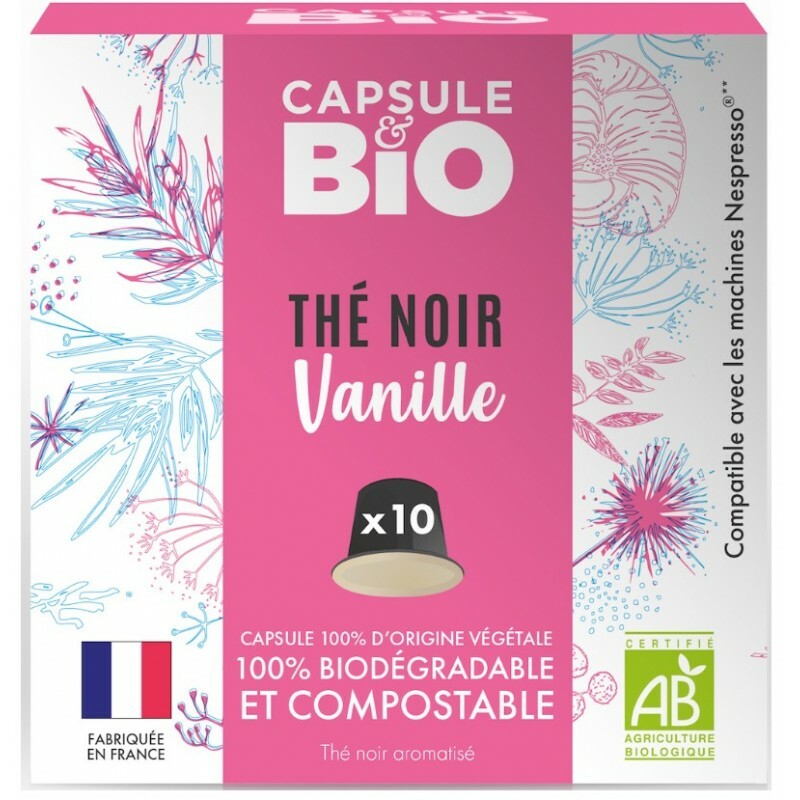 Capsul & Bio, biodegradable capsules compatible Nespresso ® Black Tea of ​​China flavored with Vanilla Bio. 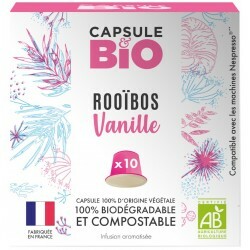 This organic black tea from China is flavored with vanilla. 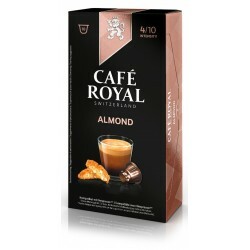 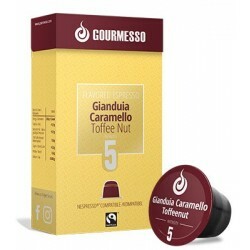 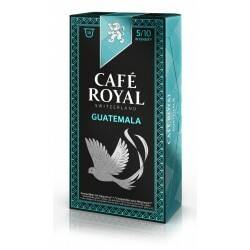 Organic Nespresso ® compatible black tea capsules. 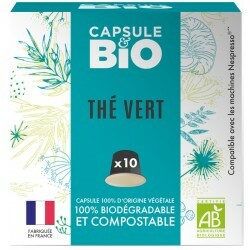 These capsules are aluminum-free and 100% biodegradable. 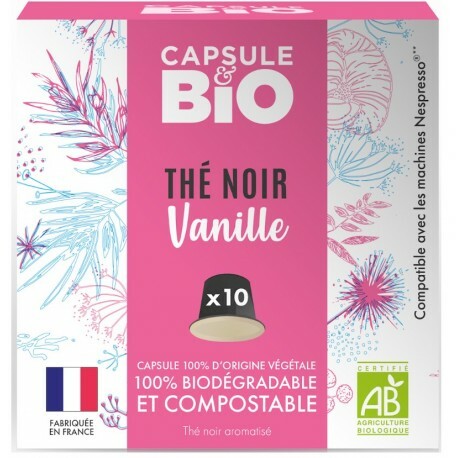 This Black Tea from China is certified organic: FR-BIO-07 For best results, cycle empty to rinse your Nespresso ® machine.